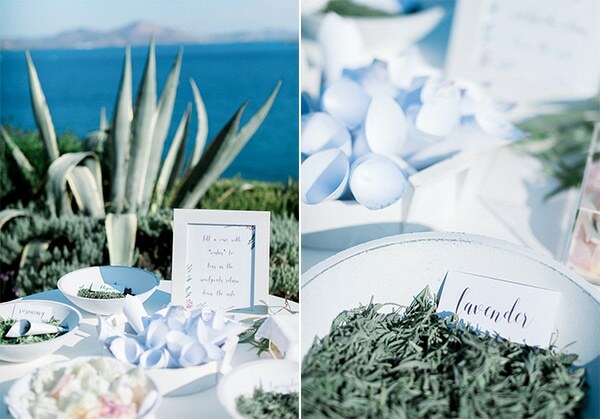 Super classy yet modern in a greenery place overlooking the deep blue sea? 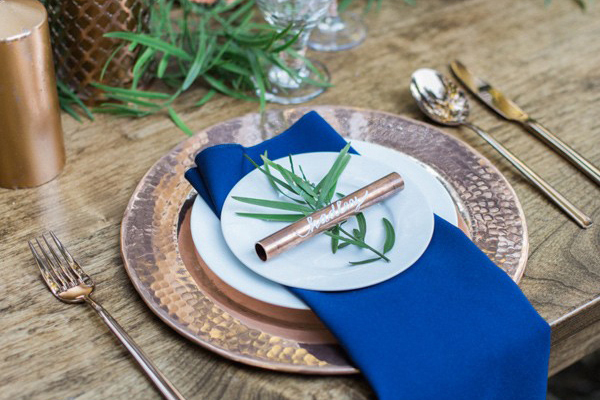 That’s our kinda combo! 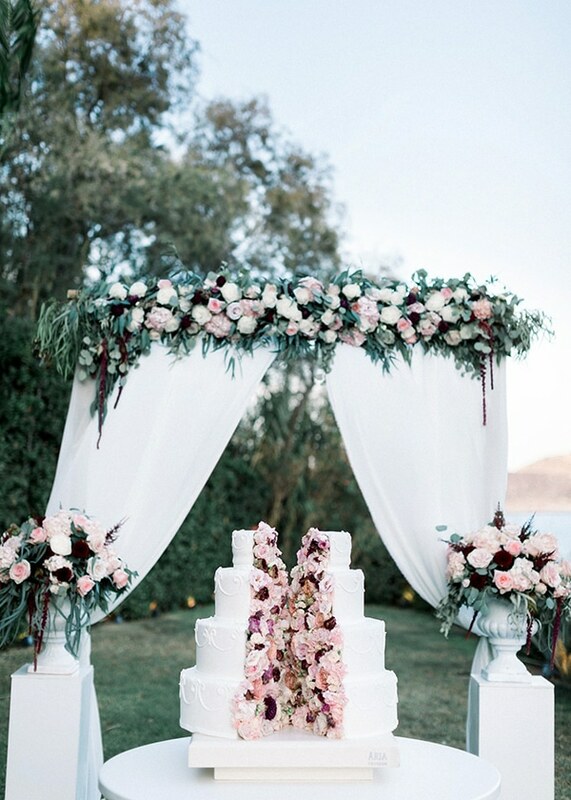 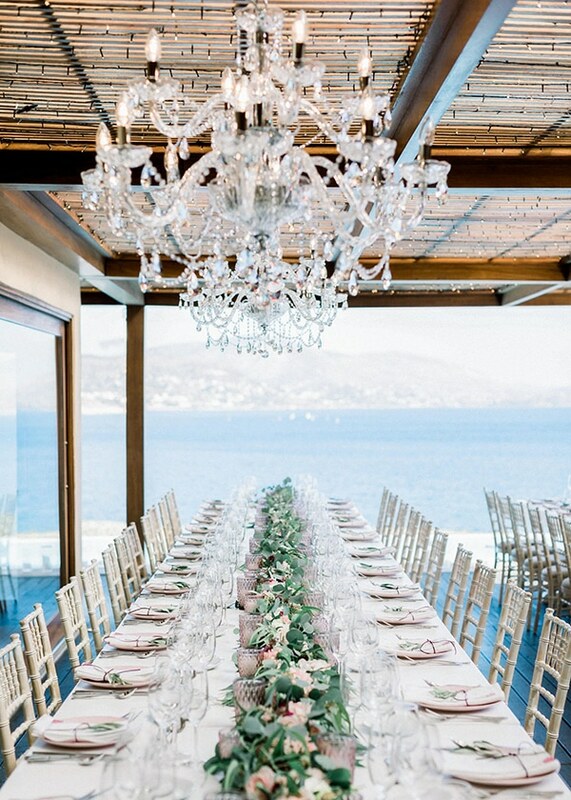 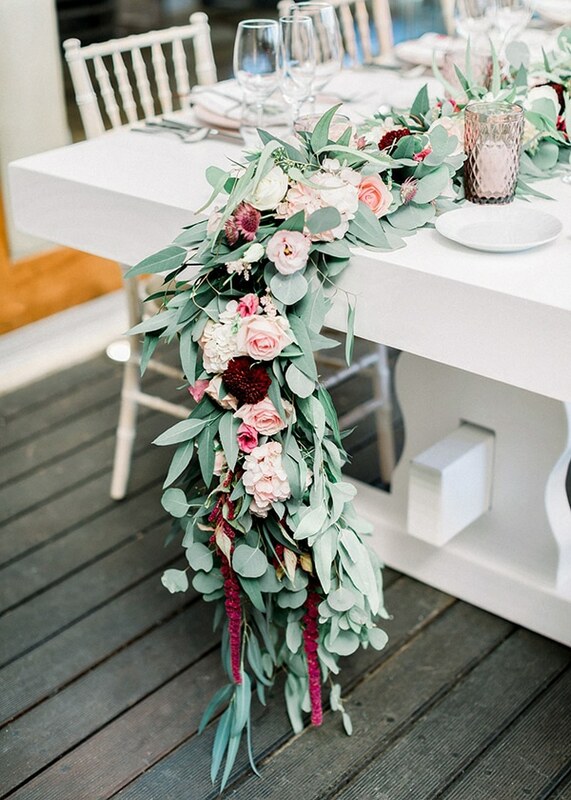 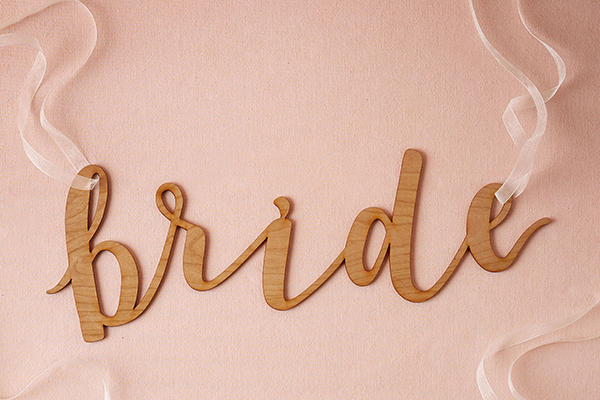 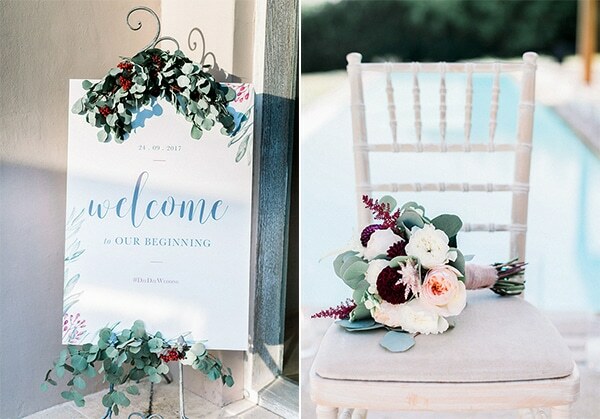 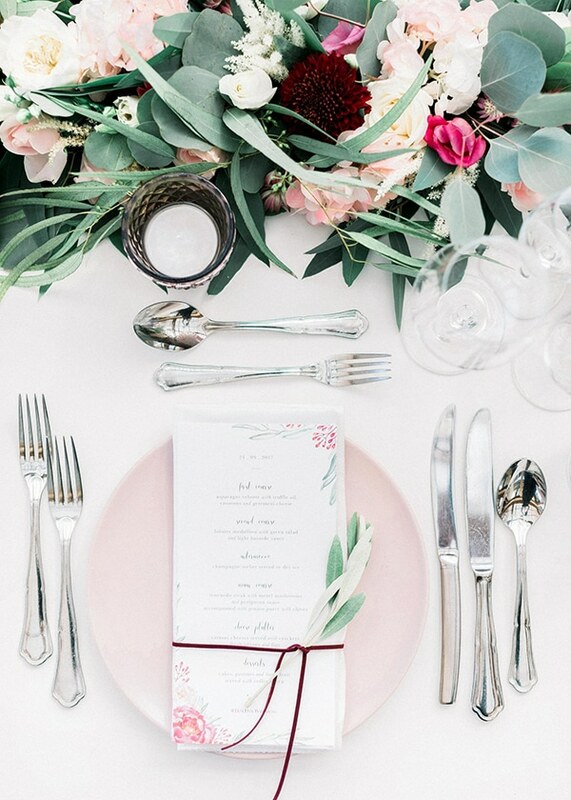 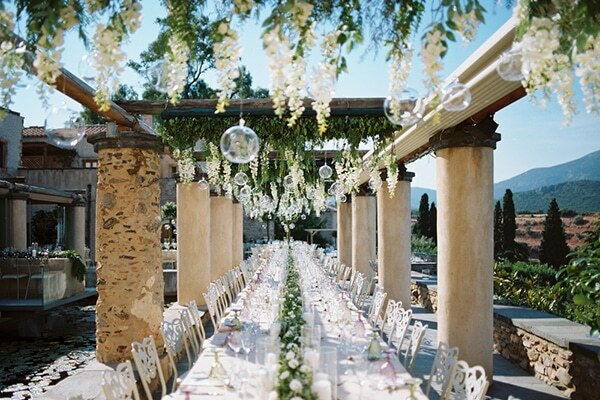 Today, we’re sharing with you some of the most beautiful decoration ideas for your wedding. 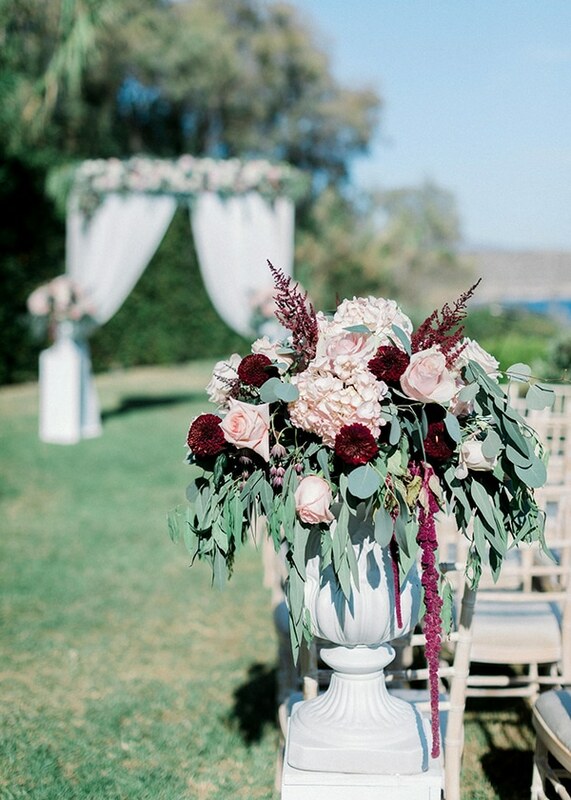 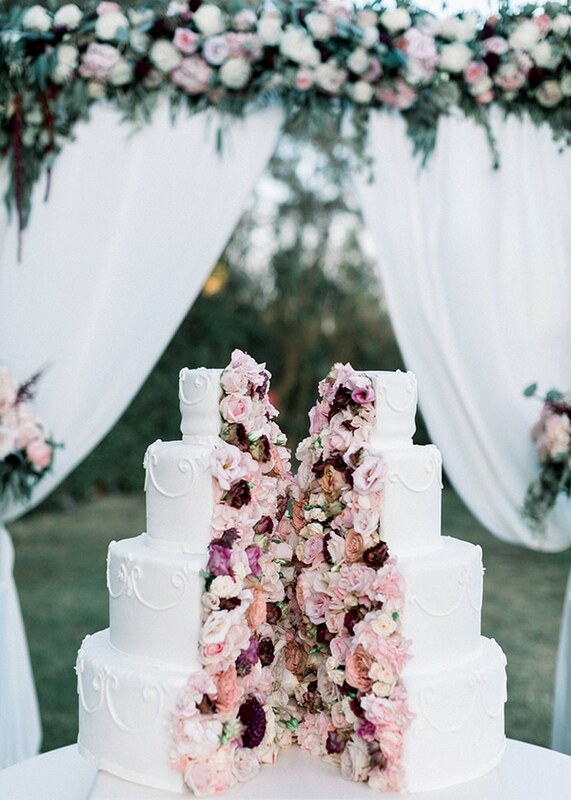 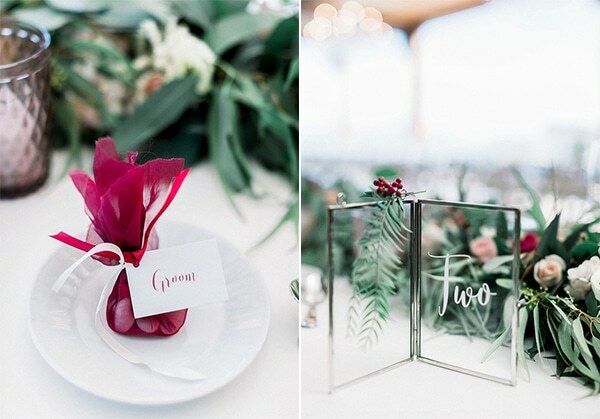 If you like fairytale details and sweet, warm colors like pink and burgundy, then you’re going to love the style of this wedding! 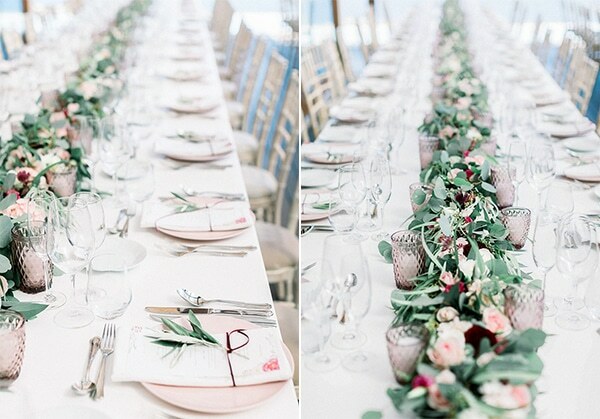 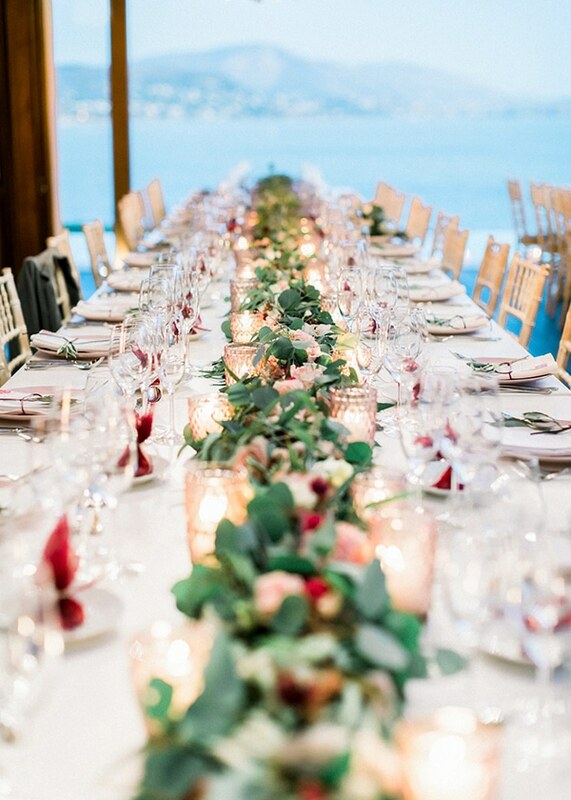 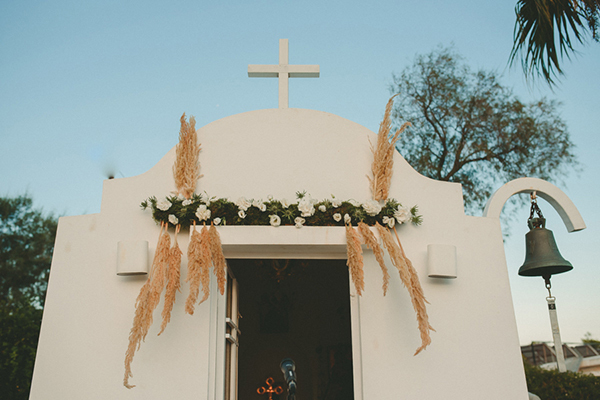 Held at the gorgeous place of Island Art & Taste, this wedding combines greenery garlands, fresh flowers and shiny touches. 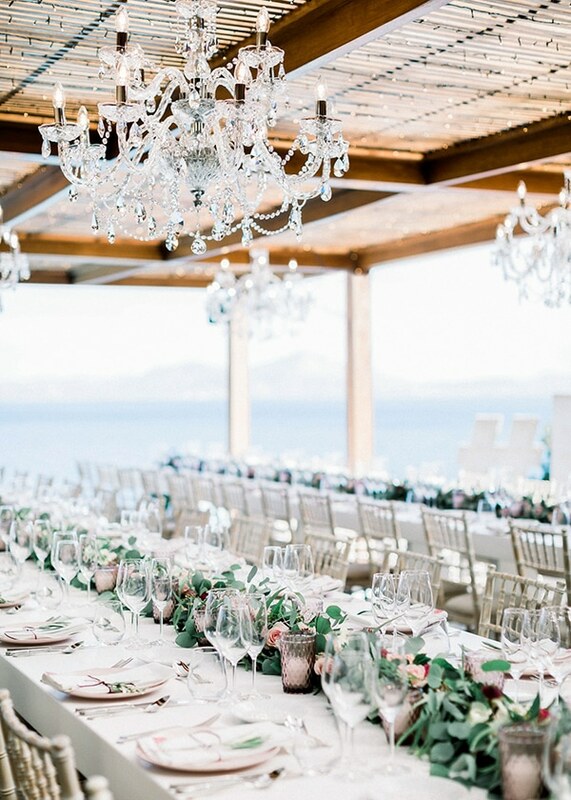 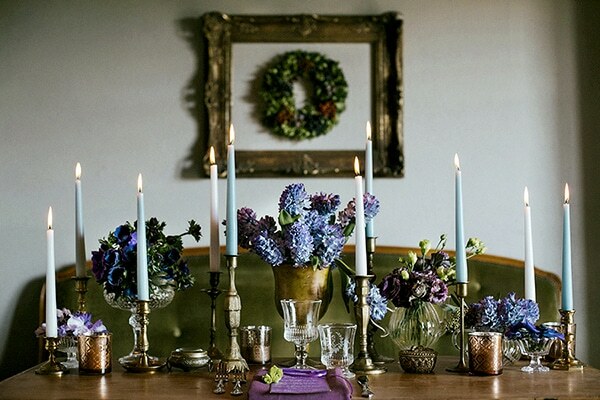 Crystal chandeliers, candles and a stunning tableware create the perfect scene for an unforgettable event! 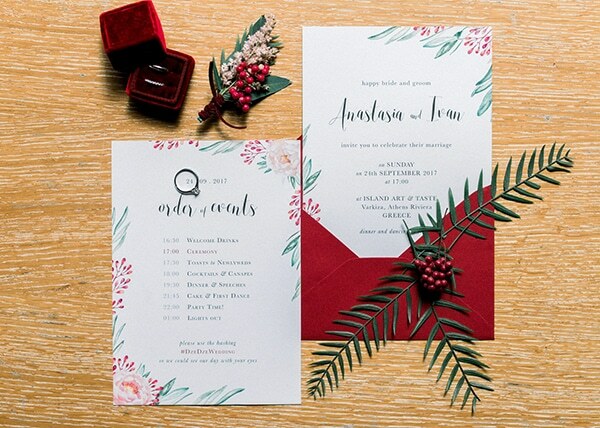 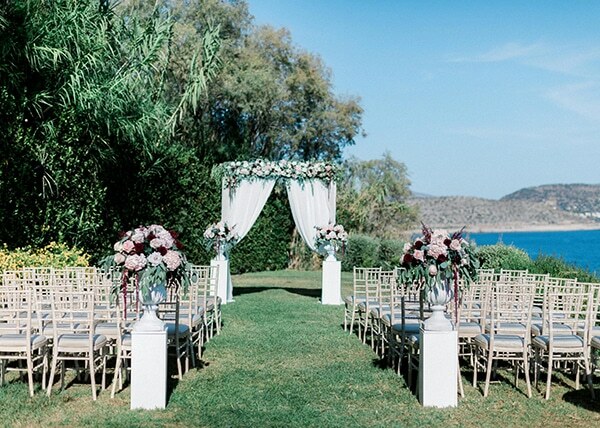 Get lost in this beauty through images by Sandy and Odysseas Photography!